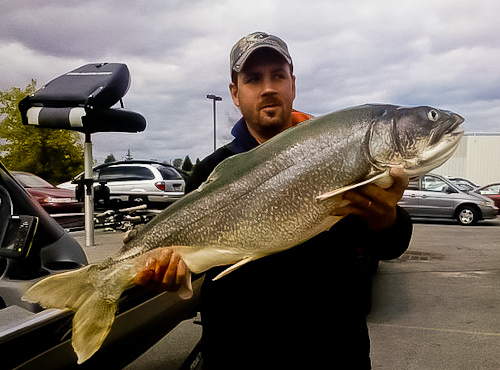 If landing a big laker is high on your list, you have come to the right place. 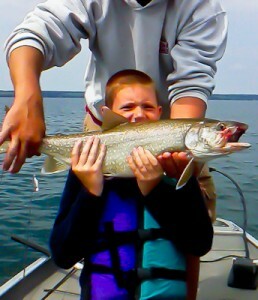 Canandaigua Fishing is a charter service operating primarily on Canandaigua Lake. The enjoyment of fishing is not limited to any particular age group or experience level. Seeing the look of amazement on the face of a junior angler as he or she successfully lands their first BIG catch is very rewarding. On your half or full day charter my goal is to keep you on active fish with a presentation they can’t refuse. I take your safety seriously. Having a great time in a safe environment is a number one priority. Youths, adults, seniors alike enjoy the excitement of fighting a BIG laker and ultimately netting the catch!